Whether you are moving locally or nationally we can help. We provide complete long distance moving services and our trusted team is more than ready to take on your move! We’ve Moved People all over Canada and World Wide! Our long distance moving staff has an outstanding reputation across the nation. The process starts with a free estimate. We make the estimate as accurate as possible so there you will have no surprises. We have an extensive computerized dispatch network. Within seconds we can find out where your belongings are. We always know where our drivers are and where your shipment is. 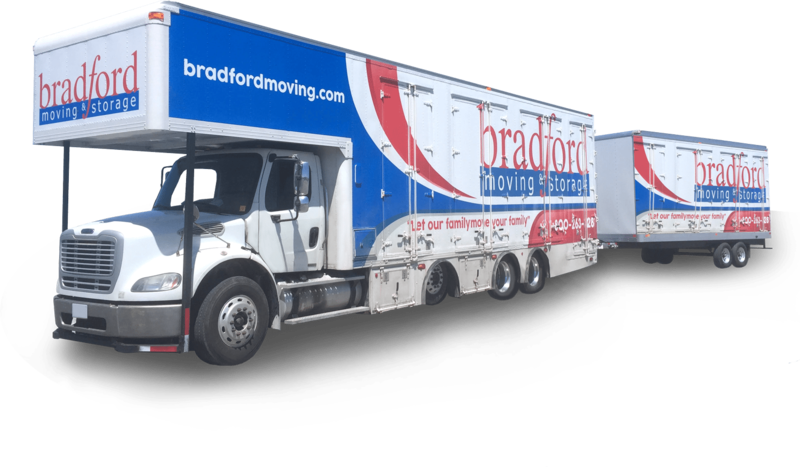 Bradford Moving & Storage is proud of its partnership with Great Canadian Van Lines Ltd. They have been moving household goods across North America and around the world for almost 20 years. They have developed new and more efficient ways of servicing their moving customers. Together with Great Canadian Van Lines, Bradford Moving & Storage can move your goods faster, with greater safety, and provide better value for your money.